Players will be able to celebrate this year's harvest moon by playing Stardew Valley on the Nintendo Switch. 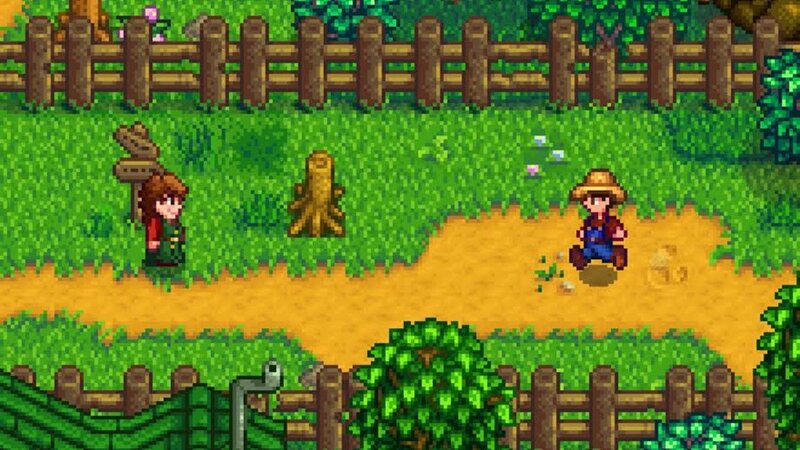 Back in late August, we reported that independent developer Chucklefish had submitted its popular simple farm life title Stardew Valley to Nintendo for testing and certifcation. Though no anticipated release date was given, players were hoping that it would arrive soon. 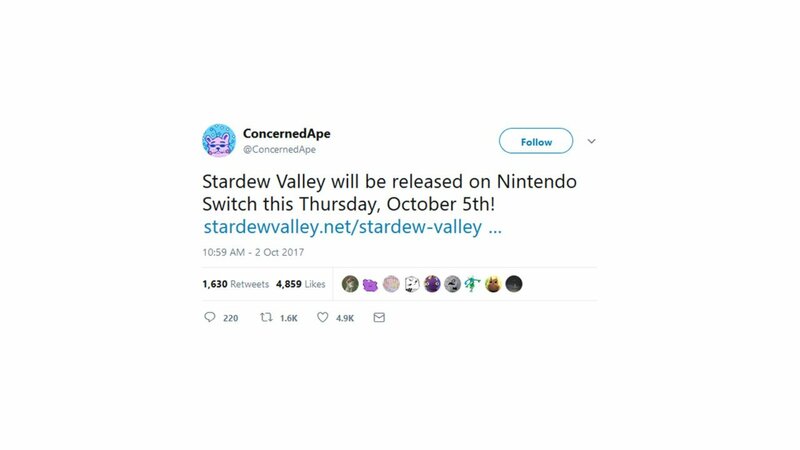 Those players have not been let down, as Chucklefish has announced via Twitter that Stardew Valley will release for the Nintendo Switch this week on October 5, a date that just happens to coincide with the annual harvest moon. This particular date couldn't be more auspicious: not only does the game arrive sooner than many expected -- at a relatively-low cost of $15, too -- it just happens to release on this year's harvest moon. As Stardew Valley fans are well aware, the title reproduces the sort of gameplay that was made popular by the Harvest Moon series, which has since been renamed to the Story of Seasons series. Like in the other titles, Stardew Valley drops players into control of their own farm where they can grow crops, craft recipes, and even win the favor of villagers in the nearby town. Though it may seem like a simple recipe, many players enjoy the relaxing nature of farm life or other work-based titles, to say nothing of the stunning variety of different tools, buildings, upgrades, and crops players can access in Stardew Valley. To get a look at how the game works, feel free to check out the trailer below. The Nintendo Switch port of Stardew Valley has been developed in collaboration with Sickhead Games; furthermore, the new edition will be the first console version of Stardew Valley that will receive the game's multiplayer update. A beta version of the update will be released for PC players later this year, and the formal update is expected to land on the Switch sometime in 2018, with versions for other consoles to follow. Looking for more games that turn everyday work into thrilling entertainment? If so, you'd be wise to check out our list of the Best Work-Based Games.